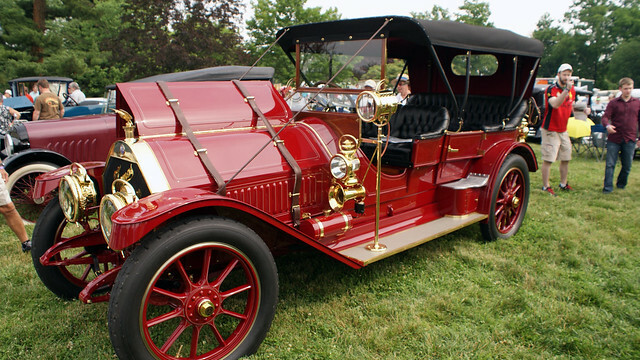 Okay, so it’s been about a month since the 2013 Ault Park Concours d’Elegance (I’ve been busy!) was held in Cincinnati’s beautiful Ault Park. I was at the show bright and early and it was great. The weather was perfect and the rain held off until just after the show had completed (by literally minutes). While I managed to photograph every car on the show grounds, I’ll only show you some of the highlights here. I even managed to capture some of them on video. 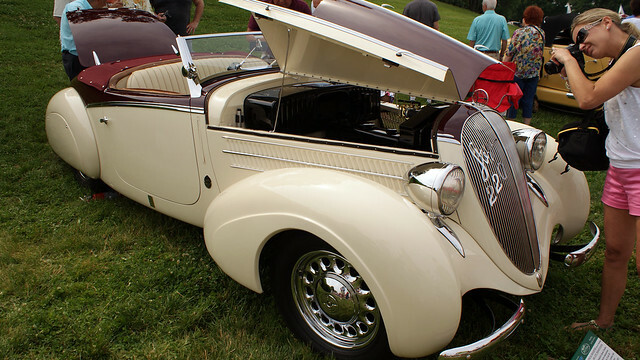 Best in Show went to this 1938 Steyr 220 Special Roadster. I think most people knew going into the show that this was going to be the major award winner. If this website were to give out an award for something – it would undoubtedly have gone to this 1911 Thomas Flyer K6-70 Flyabout. I don’t know if you’ve ever had the chance to hear a starter on a 1911 Thomas Flyer, but I highly recommend trying to get the opportunity. It is a noise. Watching this thing being driven was one of my favorite points of the show. I’ll post video below! 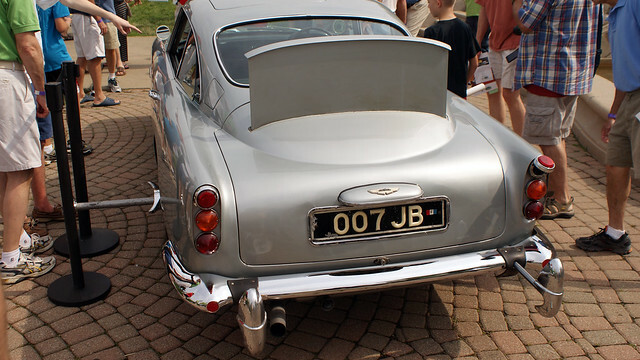 Hands down the most popular car at this year’s show was the Goldfinger Aston Martin. 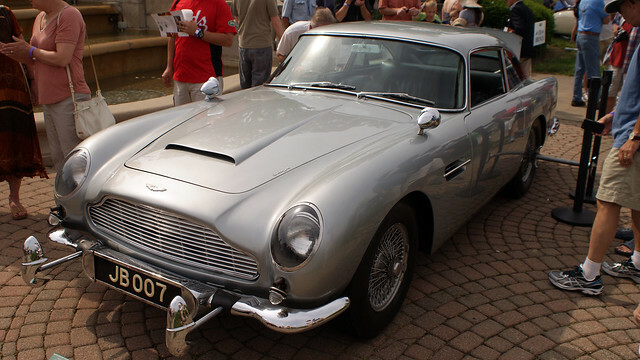 This was the DB5 that was actually used in two James Bond films: Thunderball and Goldfinger. The best part? It was just sitting there so you could get up close and personal with it AND the owner was driving it around. You can see video of it here. One of my other favorite cars was perhaps the most infamous of the show. It is a 1978 Monteverdi 375/4 High Speed Sedan. 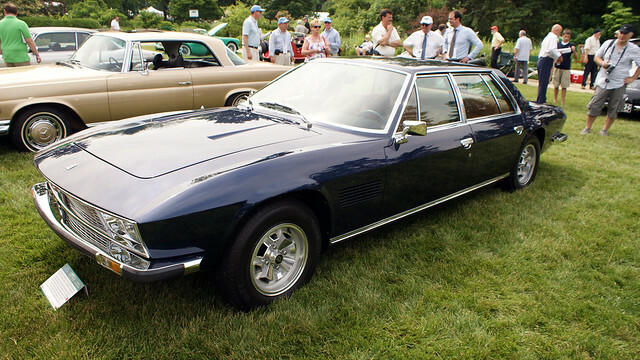 The High Speed 375/4 was built for a few years in very limited numbers. After production wrapped, the Royal Family of Qatar wanted a sedan version, so Peter Monteverdi built seven of them. This is one of those cars. It was exquisite and I took more photos of it than any other car there. Then, while lining up for awards, the owner (who brought the car here from Germany) was trying to keep the car running by revving the throttle. His foot slipped off the brake (or something) and he peeled out and smashed into the back of a McLaren MP4-12C Spider. Luckily no one was hurt and the McLaren will be fine. This thing will need slightly more repairs. 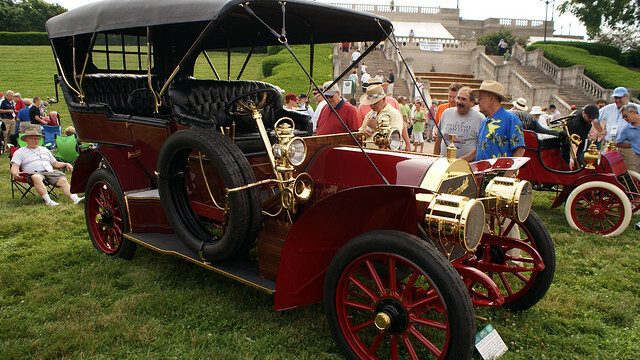 Some other cool cars included this 1908 Locomobile Model I 7-Passenger Touring, the restoration of which, concluded at something like 4 a.m. of show day. 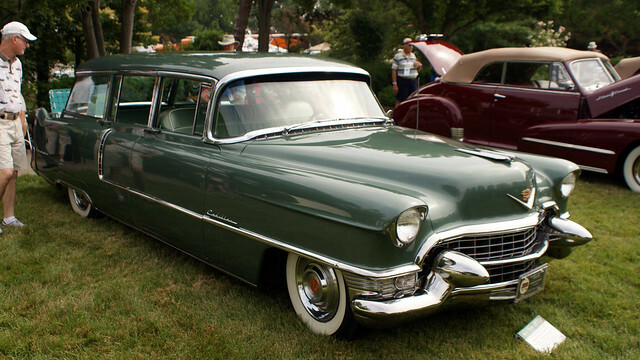 This 1955 Cadillac Custom Viewmaster was one of seven built locally by Hess & Eisenhardt and was really cool as you rarely ever see a Cadillac wagon. From the “you’ve got to be kidding” category: a 1996 Vector M12. 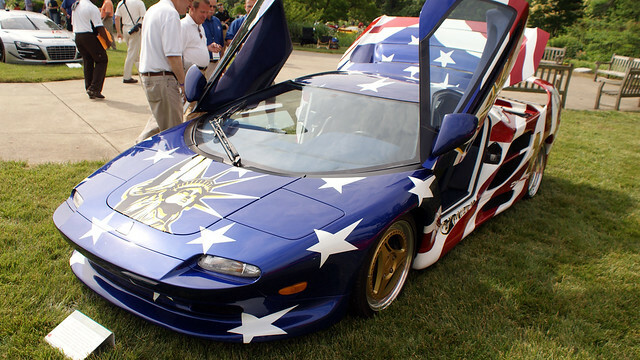 This was the auto show car first displayed by the company and is painted in some hideously patriotic paint scheme. I couldn’t believe where the car was from – a small town not far from where I live and a place you definitely would not associate with supercars (more like beat-up pickup trucks and Ford Aerostars). 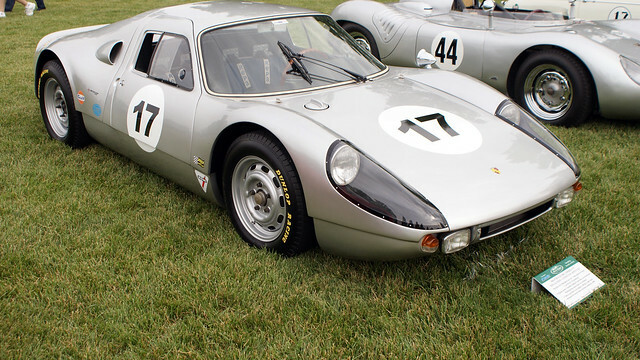 Two of the featured marques this year were Corvette and Porsche. 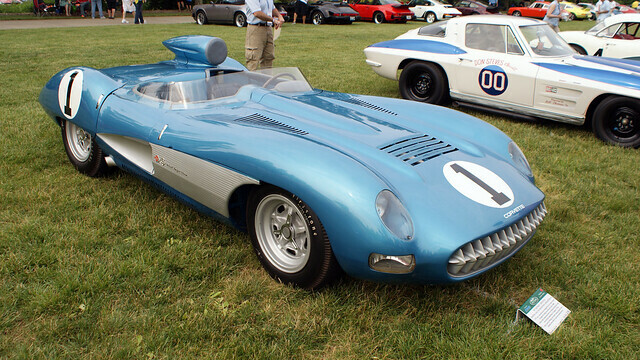 There were some awesome Corvette race cars on the field but the most valuable has to be this 1957 Corvette SS Concept Car. I believe it resides at the Indianapolis Motor Speedway museum. 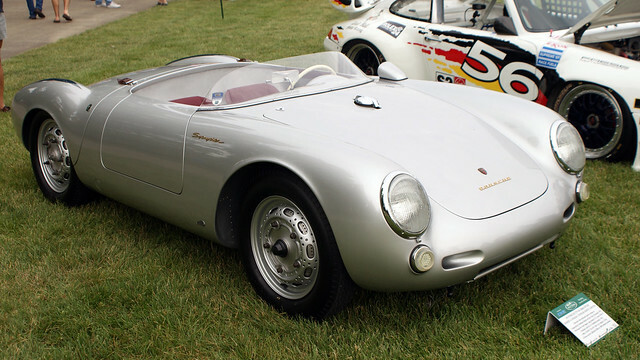 And second, this 1955 550 1500RS Spyder. This car is so small but it’s worth about $3 million. And the sound! 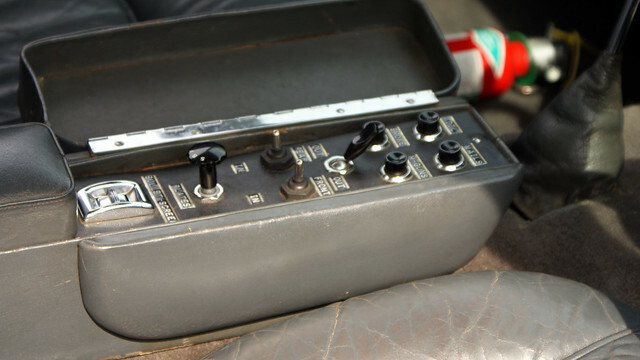 The engine is about the size of a lunchbox but it packs a punch. I couldn’t believe how loud and how enthralling the noise actually was. Finally, I have to give a shout-out to this car. 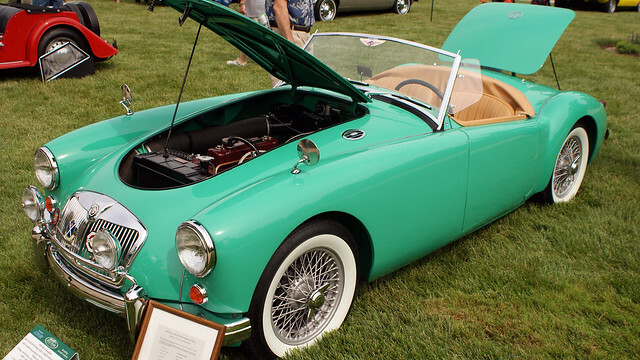 It is the best-looking MGA (it’s a 1959) I have ever seen and this color is amazing in person. I talked to the owner and he said that something like 1% (or less) of MGAs were painted this color back in the day but no one wanted them so dealers sprayed them red and they drove off the lot. Only a fraction of the cars were sold without the repaint and those who bought them must be quite proud today because the combination of this soft teal and whitewall tires is outstanding. Be sure to check out some of our videos from the show at our YouTube channel! These cars are ever better then they are in-motion and making noise. Sorry I couldn’t capture the smells for you too! And check the show’s website here for more winners. This entry was posted in Uncategorized and tagged aston martin, cadillac, chevrolet, concours d'elegance, corvette, locomobile, mg, monteverdi, porsche, steyr, thomas flyer, vector by classiccarweekly. Bookmark the permalink.